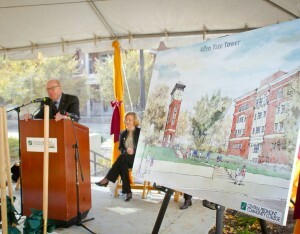 CPCC breaks ground on new ‘signature’ clock tower project - Rodgers Builders, Inc.
Charlotte, N.C. – In a groundbreaking ceremony Tuesday morning, Central Piedmont Community College (CPCC) honored H. Allen Tate, Jr., founder and chief executive of the Charlotte real estate firm Allen Tate Co., as the college broke ground on a 48-foot clock tower that will bear his name. 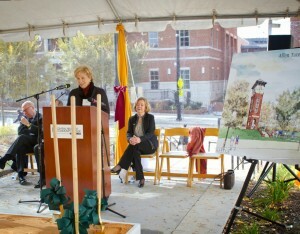 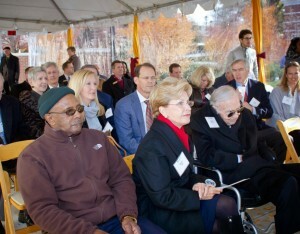 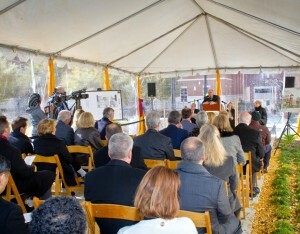 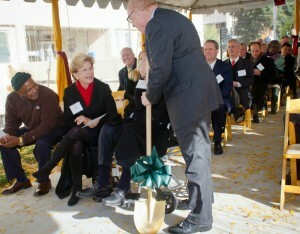 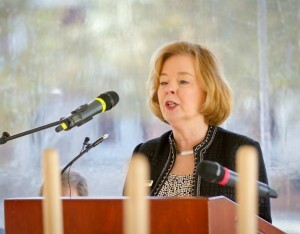 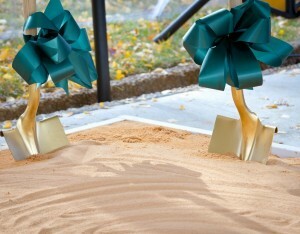 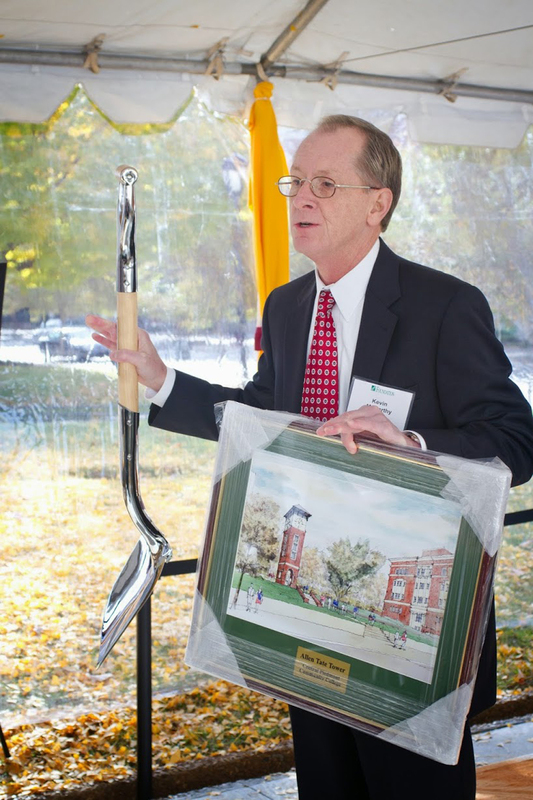 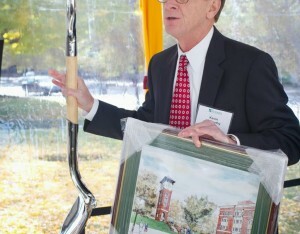 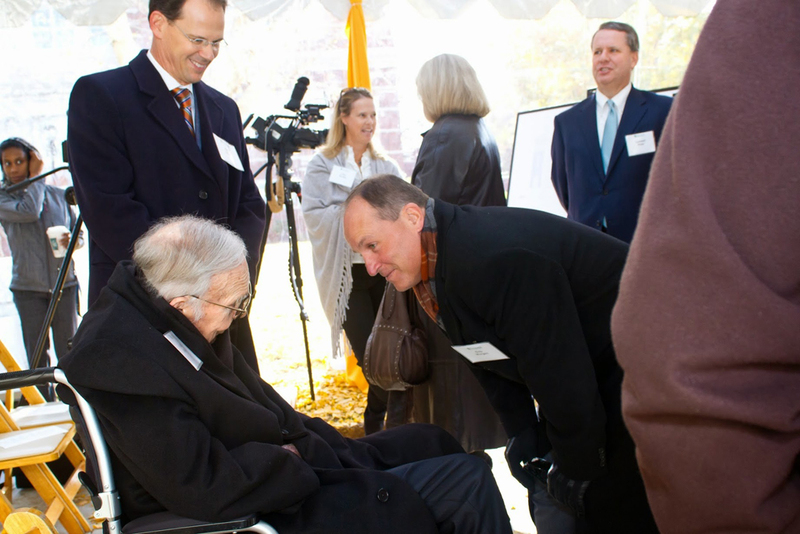 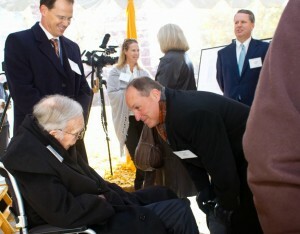 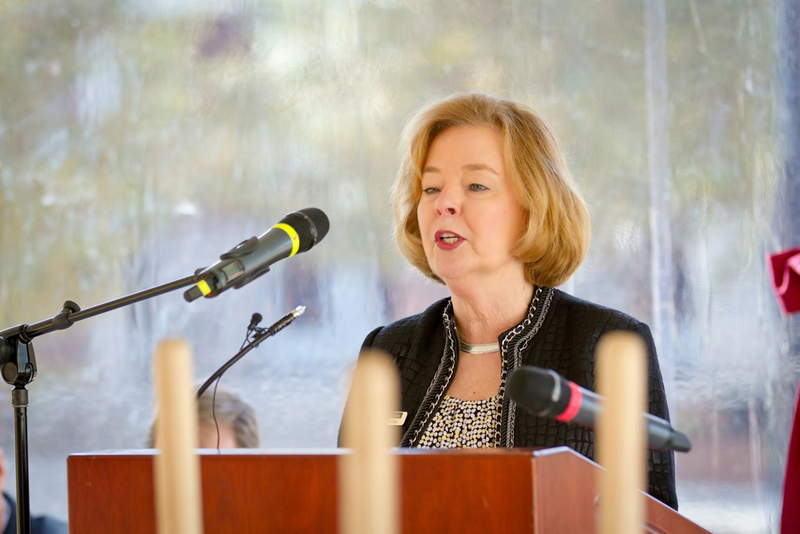 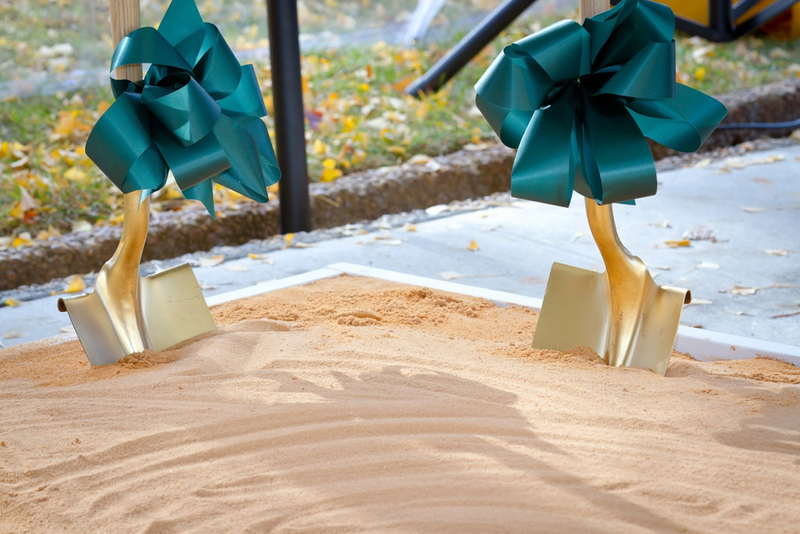 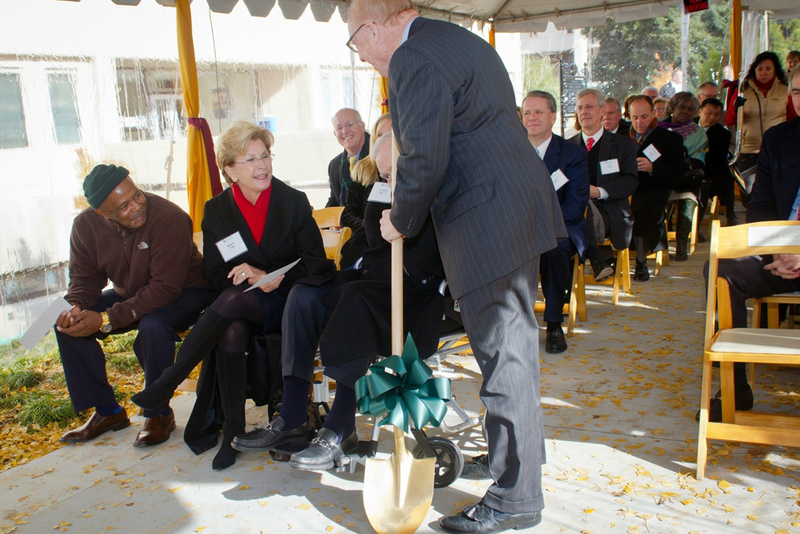 The groundbreaking ceremony took place at the Central Campus of CPCC. 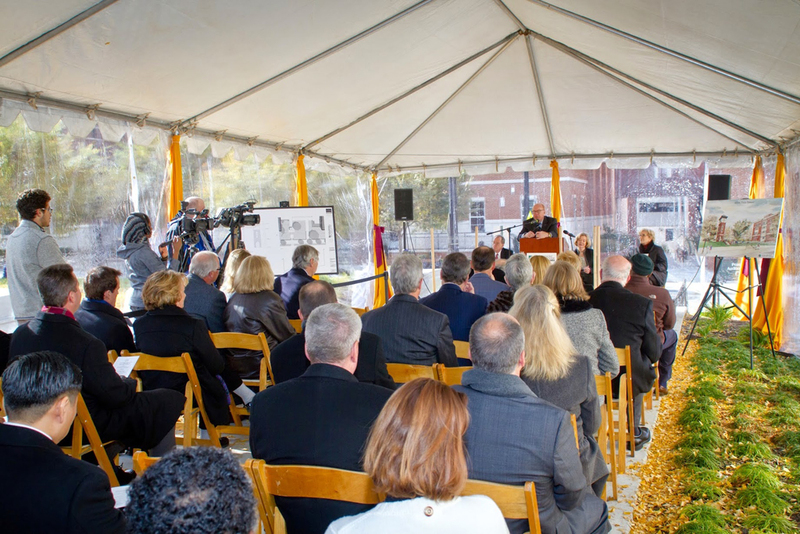 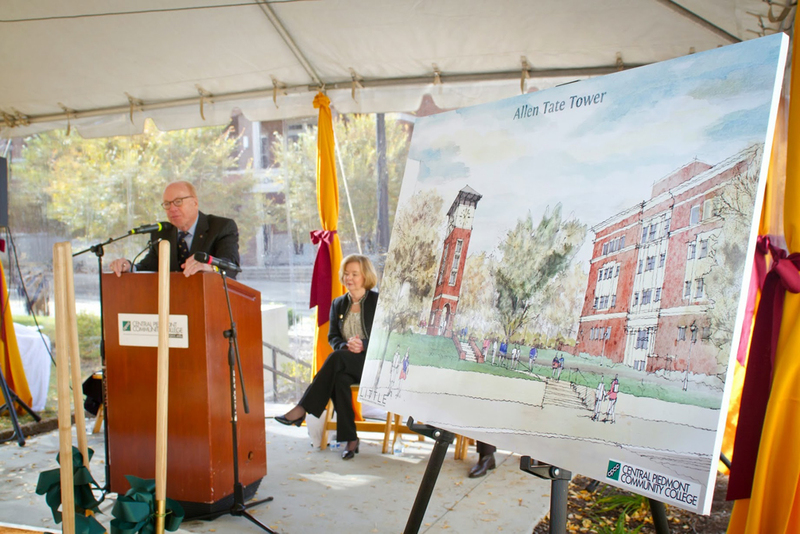 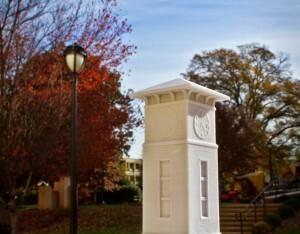 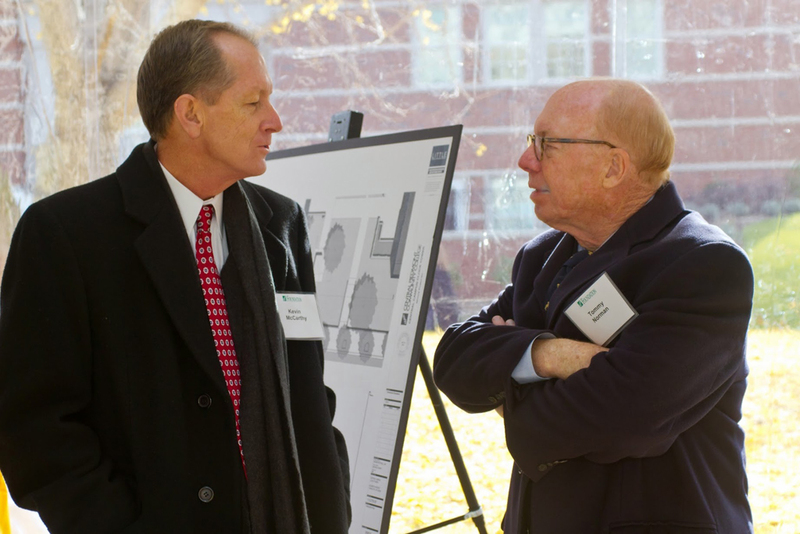 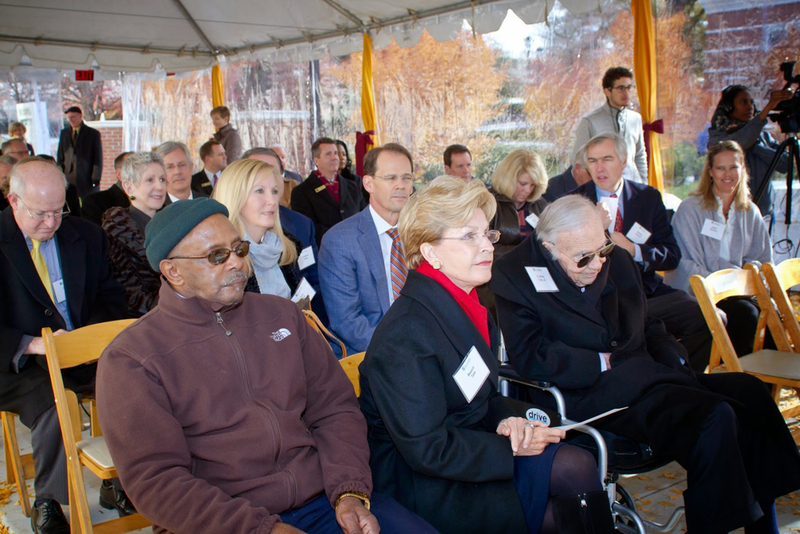 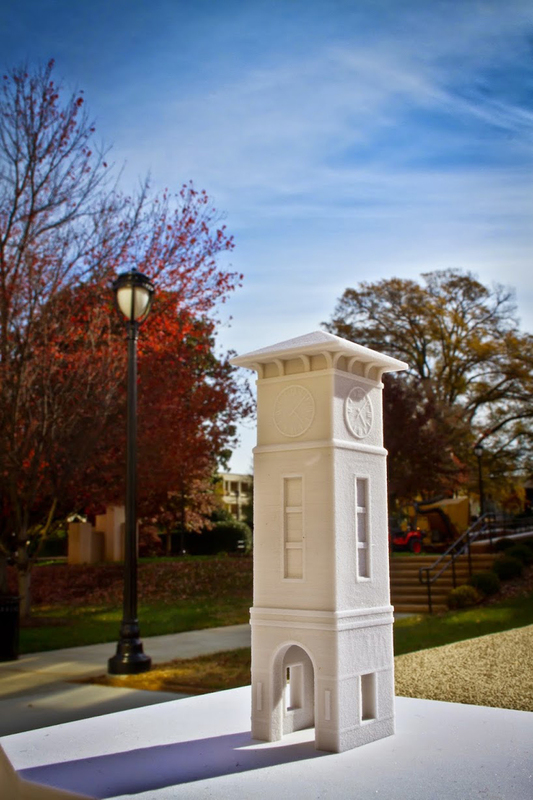 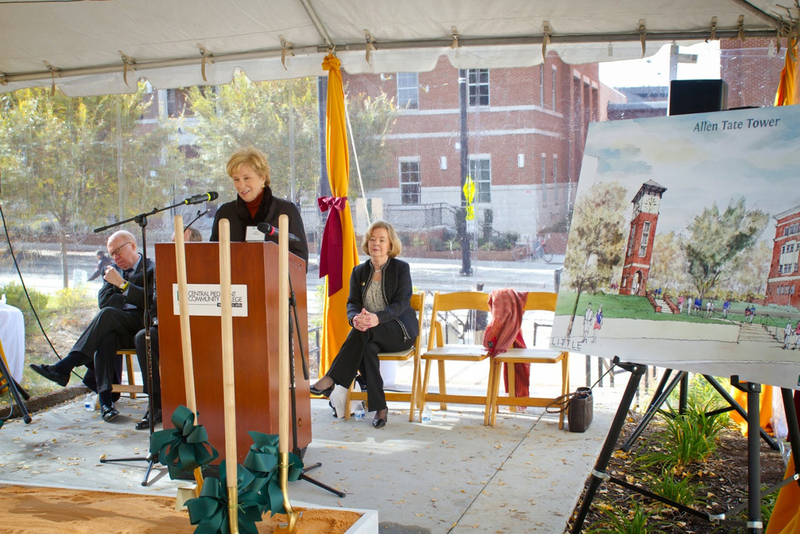 Dr. Tony Zeiss, CPCC President, states the Allen Tate Tower, constructed of brick and cast stone and featuring a four-sided clock face approximately six feet in diameter, will serve as a landmark for the college. 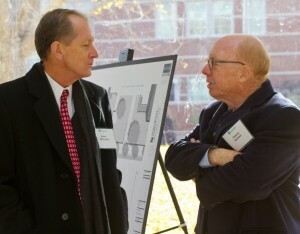 Construction will be completed in early 2015.